No greenhouse? No problem! 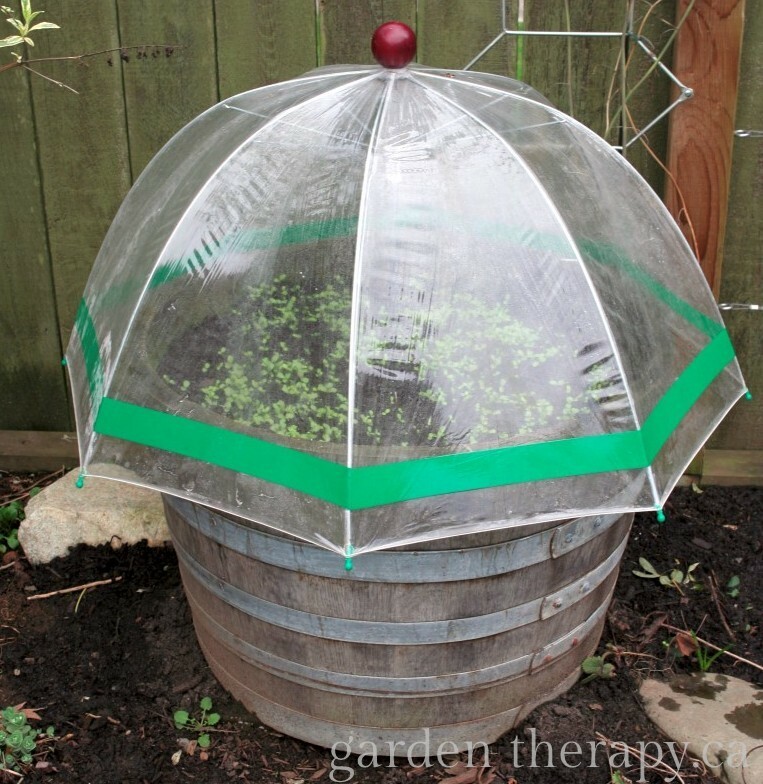 Even small-space dwellers can start seeds outdoors with a few tips and these clever umbrella mini greenhouses. This project is just one in the Seed Starting Series here on Garden Therapy. 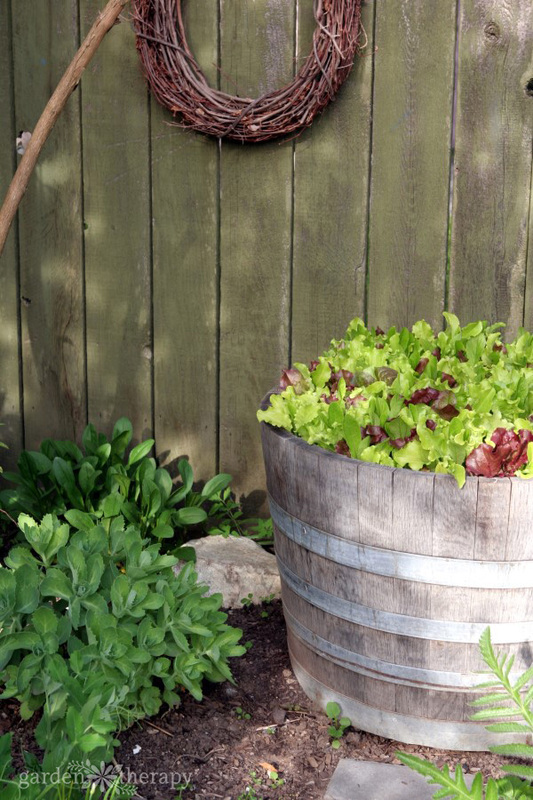 Check out all the projects and advice as you plan your garden this year. A great place to start is the Ultimate Seed Starting Guide. My climate conditions are chilly and wet in late winter, with a chance of snow/frost. 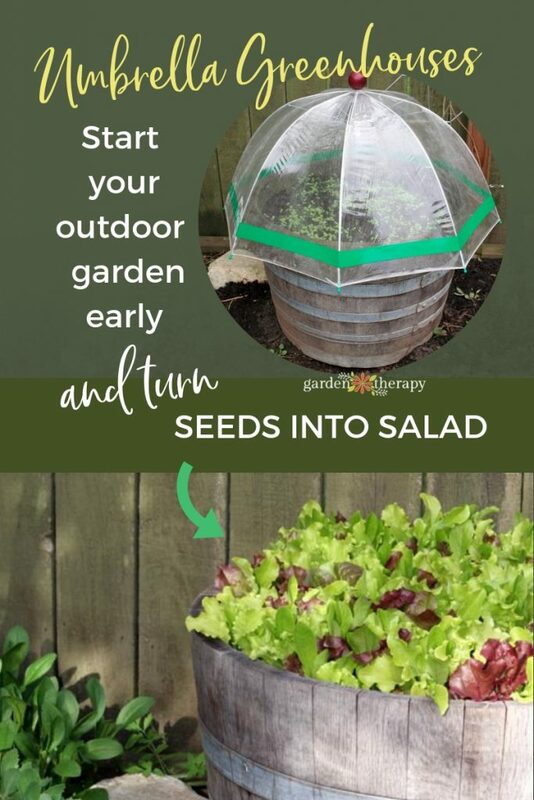 With this in mind, I chose large wooden containers like raised beds or wine barrel planters for my early seeds. The moisture can move through the wood (meaning the soil can draw from the moisture in the air or release excess) and the large size of the container means the soil will stay warmer for the seedlings. If you have a container with last year’s soil, turn it with a shovel or garden claw to fluff it up and mix from bottom to top. Next, dig in a layer of compost six inches below the surface of the soil to prepare some future nutrition for the seedlings as they grow up. Finally, cover the top layer of soil with a light, moisture-retaining material like seeding mix, peat moss, or coconut coir. The little seeds will have the moisture they need to germinate and the soil will not develop a crust too hard for the seedlings to emerge from. At this time of year germination rates tend to be lower, so I plant densely. 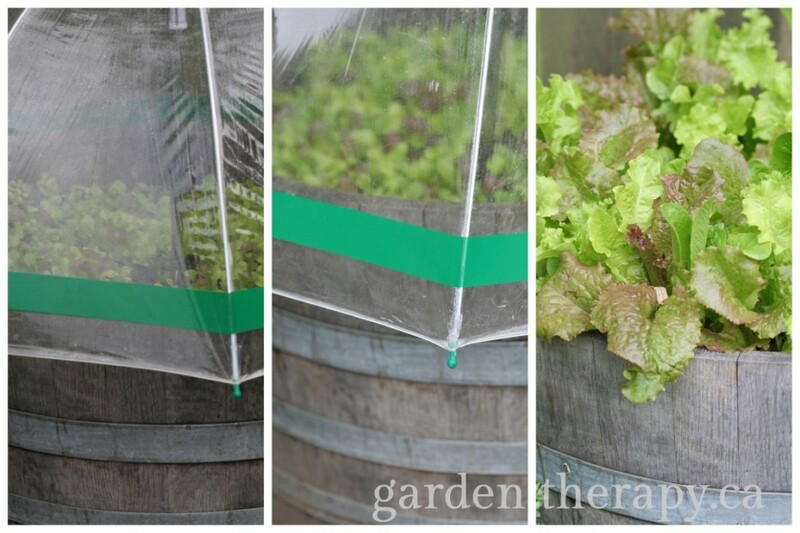 Typically I will use a whole packet of lettuce seeds per wine barrel. Growing time is much slower at this time of year and thinning is fun—baby salad greens are the first vegetables I get to eat from my garden so I plant many and eat many. It ends up being very economical as well. From one packet of lettuce seeds I will thin and transplant lettuce all over the garden (and give lots away to friends), giving me a steady supply of salad from March through July. I was lucky to find some great greenhouse covers at my local garden centers for pretty reasonable prices. They have lasted me many years and I use them throughout each season in many different ways, from early frost protection of tomatoes to warming peppers and eggplants to covering my rosemary each time it snows. It doesn’t matter if it has a vent or not, generally you won’t use it. Buy one with plastic or rust-resistant parts—the ones that look the most like umbrellas have the same metal latching mechanism that an umbrella does and it will undoubtedly rust and become unusable in no time. Greenhouses with a center stake are best (over the ones with pegs to hold down the edges). You will lift the umbrella regularly to water, check the plants, and give them some air. This will be frustrating if you have to find and reinsert the pegs each time. The best greenhouses fold up for storage when not in use. Update: because so many of you have asked where to buy one, here are some links: Umbrella Greenhouse and Folding Greenhouse and Pop Up Greenhouse. Managing the health of plants under mini greenhouses will be very much up to you as a gardener to decide what is needed. Rain will not water your plants for you, so it is now up to you to decide when to water. If it is getting too moist or hot inside, you can lift the greenhouse slightly from the ground or know that it’s time to remove the greenhouse for good. When the seedlings have their first true leaves and the weather is starting to warm up, I tend to start hardening off my seedlings by removing the cover for a few hours each day, increasing the time slowly until they have a full day in the outside air uncovered. I still cover the containers at night until my magical gardener’s sense tells me that they will be safe in the moonlight by themselves. Om nom nom. 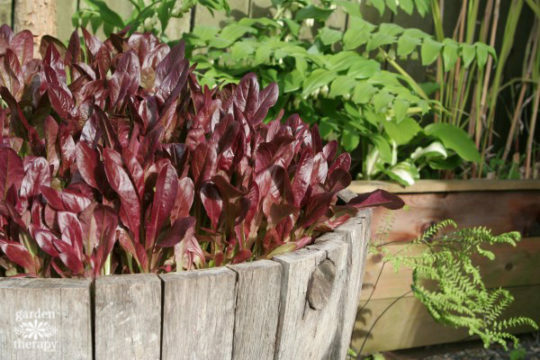 This is the most rewarding part: start cutting and eating the plants by snipping seedlings at the base with sharp scissors to make room for the other plants to grow bigger. 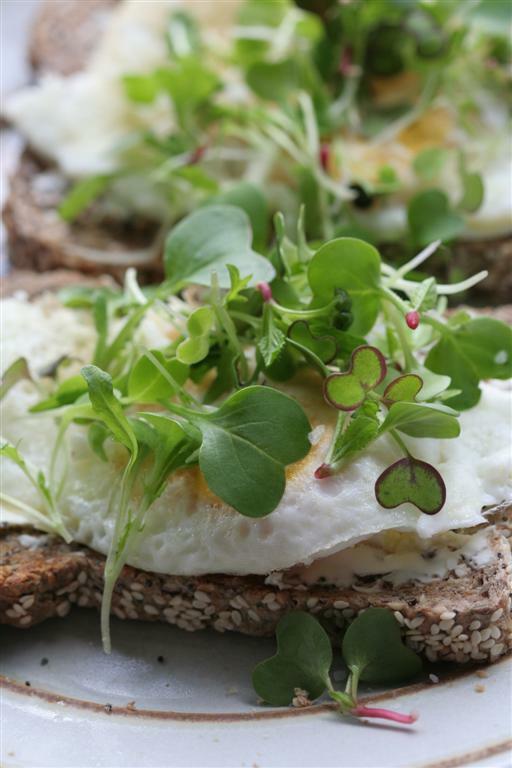 Baby lettuce, radishlings, and pea shoots are delightful in the spring. Munch on snow peas in the garden while you plant other things and use them to get your dog to do tricks (my dogs LOVE fresh peas). And if you are like me, you’ll have so many that you’ll schedule in a 10:30 salad each day just to keep up with it. 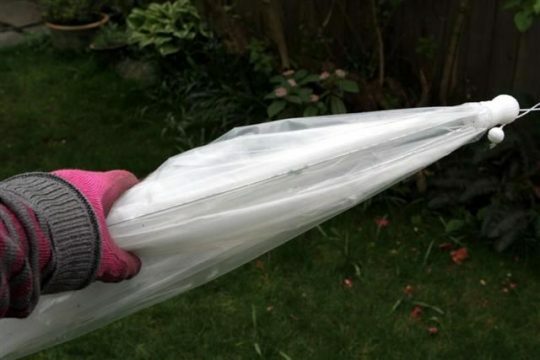 where can I buy these garden umbrellas pictured on your site? I put some links above, but it seems that they are all sold out. I can’t locate them online anywhere else, so perhaps look for a clear umbrella instead?